This is another rich period of free or almost-free events representing Toronto’s many cultures. The following are just the ones we’ve heard about. There are more. Please keep sending us posters of events that make Toronto multicultural and tell your friends about these stimulating opportunities. Subscribe to our Newsletter below. Canada. First Nations. 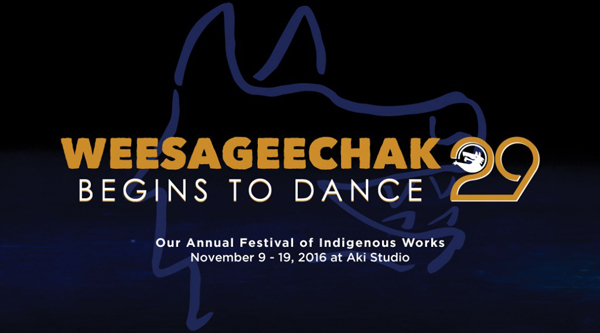 Weesageechak Begins to Dance 29. Annual Festival of Indigenous Work. November 9-19. $15 tickets for film, dance, or live theatre. Passes available. Mainly at Aki Studio, 585 Dundas Street East. For details: http://www.nativeearth.ca/weesageechak29/. Canada. Remembrance Day Services. Several services that commemorate our military dead take place around the city. Friday, November 11. Most services start around 10:45am. 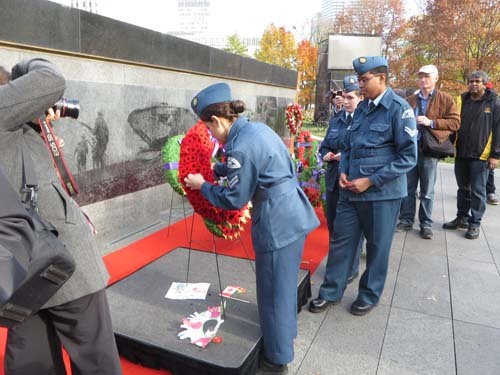 For information about those of the Jewish War Veterans, Native Canadian Centre, Ukrainians, Queen’s Park, Sunnybrook, Swansea, Toronto Zoo, and University of Toronto: http://www1.toronto.ca/wps/portal/contentonly?vgnextoid=38b8321b44752410VgnVCM10000071d60f89RCRD&vgnextchannel=bf0ac79651ce1410VgnVCM10000071d60f89RCRD. For Fort York and the Toronto Municipal Chapter IODE, Strachan Avenue Military Cemetery, Front St. and Garrison St, “…all soldiers of the Toronto Garrison who fell in the War of 1812; The Rebellion Crises; The Crimean War; Northwest Rebellion; South African (Boer) War; the two World Wars and recent conflicts around the globe will be remembered and honoured…”: http://www1.toronto.ca/wps/portal/contentonly?vgnextoid=ab897a334f6a0410VgnVCM10000071d60f89RCRD. Old City Hall usually has the biggest event which is broadcast on Citytv, CP24 and live on the radio station Newstalk 1010. http://www1.toronto.ca/wps/portal/contentonly?vgnextoid=fb787aac783a1410VgnVCM10000071d60f89RCRD&vgnextchannel=bf0ac79651ce1410VgnVCM10000071d60f89RCRD. 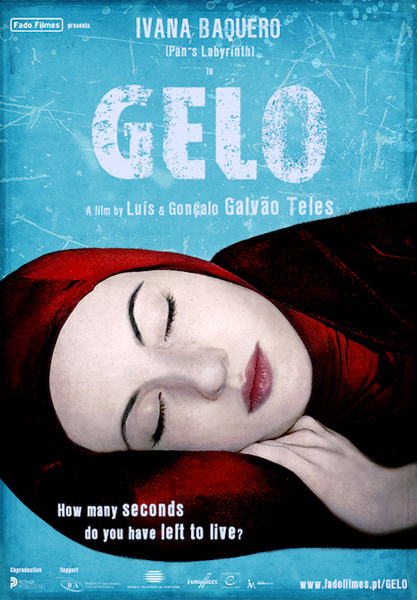 For more film festivals, see NOW. https://nowtoronto.com/movies/film-fests-and-screenings. Iceland. Taste of Iceland. November 10-13. Free. Music. November 12, 9:30-pm show at the Horseshoe Tavern, 370 Queen Street West. RSVP: Eventbrite. Scavenger hunt for a daily chance to win two free tickets on Icelandair to Iceland. 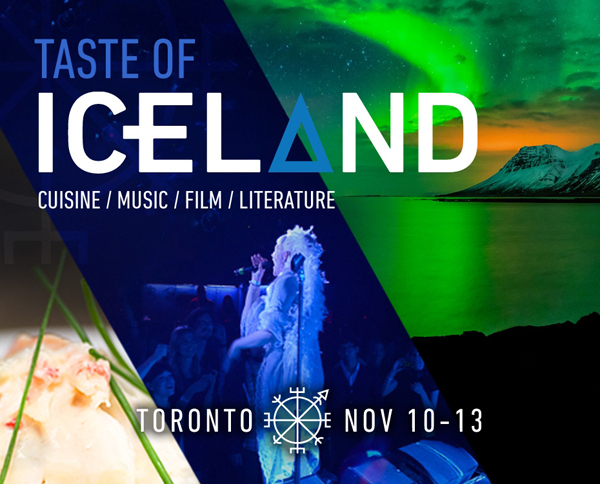 For more information, see: http://icelandnaturally.com/article/taste-iceland-toronto-2016. Japan. 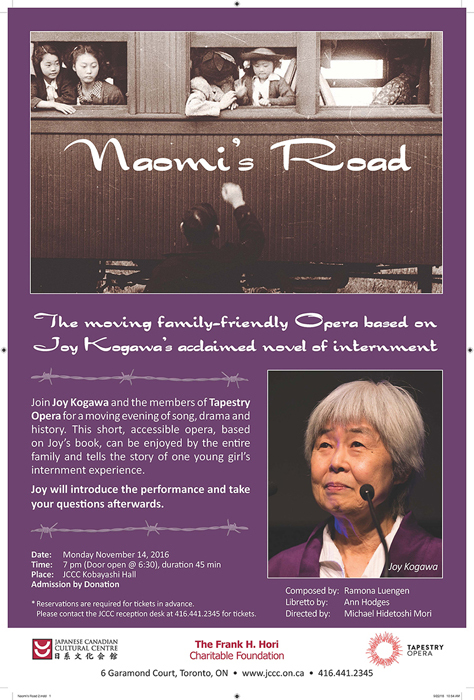 Joy Kogawa’s Naomi’s Road – the Opera. Monday November 14. 7pm. Free (donations are welcome at the door). Duration: 45 minutes. Kobayashi Hall, Japanese-Canadians Cultural Centre. 6 Garamond Ct, North York. *Reservations are required for free tickets in advance. Please contact the JCCC reception desk at 416-441-2345 for tickets. “Set in Vancouver during the Second World War, this opera tells the story of one Japanese-Canadian family among many, who are forced to leave their homes and move to camps in the mountains… It is told from the point of view of the young girl, Naomi… We live in a time where Japanese-Canadians are fully integrated and hold an integrated place in the greater Canadian whole… Yet at the same time the fear of the violent and subversive ‘other’, once reserved for Japanese-Canadians, continues to be a part of the North American narrative for other ethnicities and religions. Please join us to remember this powerful story and celebrate its survivors through music and storytelling.” Laos. Boon Phra That Luang Festival. November 13. Free. Donations appreciated. Wat Lao Veluwanaram Temple, 17969 Airport Road, Caledon East. 905-584-6886. Phra That Luang is a holy shrine and spiritual worshiping place in Laos. It is a symbol of Lao culture and art, and was inspired by the 15th century Kingdom of Lane Xang. It is the biggest Buddhist holiday in Laos. See also: https://www.torontomulticulturalcalendar.com/2013/11/05/report-on-a-laotian-festival-in-toronto-2013/ and: http://www.watlao-veluwanh.com. If detailed information is unavailable, phone the temple for confirmation and times. 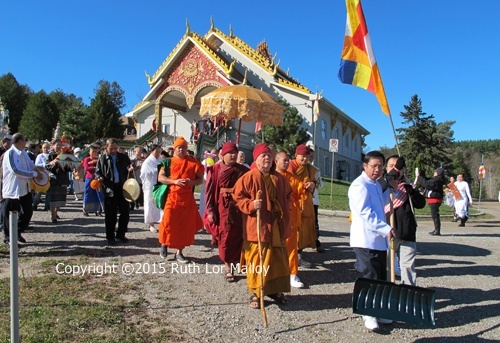 Tuckbath Boon Kathina at Wat Lao Veluwanaram Temple, 17969 Airport Road in Caledon East. Spain. La Banda Morisca. November 12. 8pm. Small World Music Centre, 180 Shaw Street, Studio 101. $15-$20. 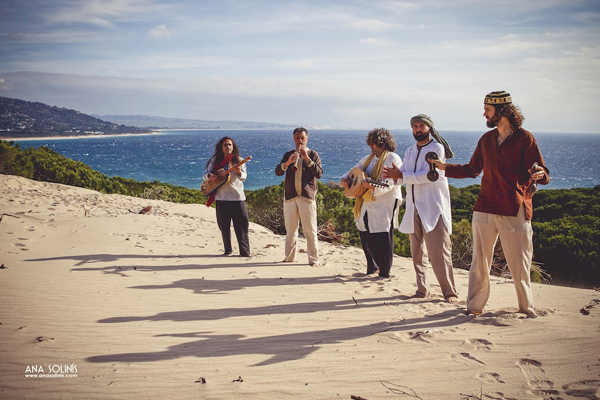 http://smallworldmusic.com/shows/la-banda-morisca/?utm_source=Small+World+Newsletter&utm_campaign=aafcf26353. For future, affordable events from diverse cultures, subscribe to the Small World Newsletter: http://smallworldmusic.com/events-archive/news. Syria: A Living History. Aga Khan Museum. 77 Wynford Drive, North York, Now to February 26, 2017. $10-$20. Syria is much in the news today. Learn about its 5000 year old past. https://www.agakhanmuseum.org/exhibitions/syria-living-history. Image courtesy Aga Khan Museum. Sunday 13 November. – Conflict and Climate Change, with guest speaker Emily Gilbert, a UofT Associate Professor in the Canadian Studies Program and the Graduate Program in Geography. Sunday 27 November – Fuelling Our Future: Is Renewable Doable? with guest speaker Jose Etcheverry, Assistant Professor and co-chair of York University’s Sustainable Energy Initiative. 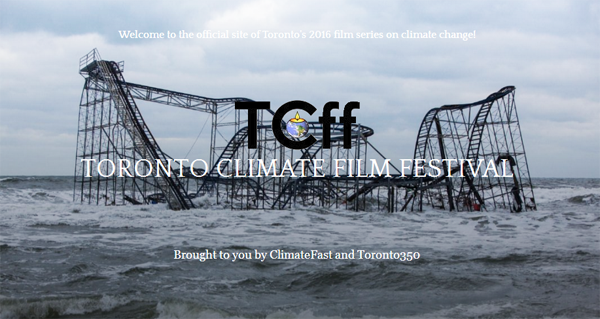 For more information about these and future programs: http://www.tcff.ca/.